"We complete two years of our association with the CONSORT Group. Over the last twenty four months CONSORT has successfully assisted us in identifying talent for six positions in the Stanley Black and Decker Russia operations including the key positions of Finance Director and Business Development Manager. On behalf of the Russia team I would like to record my appreciation for the personal effort that you have made to first understand our business and then find talent that best met our high standards. Clearly without your hard work and follow up we would not have succeeded in expeditiously completing the hiring process for these key positions. Our company ALKO-KOBER was recommended recently by International Executive Search Federation (IESF) to assign their exclusive Russian/CIS partner CONSORT Group with the search of Country Manager, Ukraine. We were very pleased with the level of service demonstrated by CONSORT Group. They provided us with the good expertise of the garden and hobby market of Ukraine highlighting its major trends, identifying target companies and presenting a sufficient number of candidates. All the candidates corresponded to the professional requirements of the job profile. The CONSORT consultants gave us valuable advice on the short-listed candidates, were efficient in arranging interviews and supporting us properly at all stages of the search. Good timing of the project made it possible to choose the finalist and complete the project before it had been scheduled. Please let this letter to serve as a letter of recommendation for Consort Petersburg. Sato has used Consort Petersburg’s services for several recruitment processes in St.Petersburg during the past two years. While working with Consort on different assignments, I have found them extremely professional and effective. I can verify that client’s expectations and requirements are of vital importance to them, and they work hard to find a suitable candidate for the position in question, still bearing in mind the agreed schedule. I have no hesitations in recommending services of this company to you. Last year, Globe Tools successfully hired a Regional Business Manager, for Russia & CIS through the CONSORT Group. We are impressed by the progress of the candidate presented by CONSORT Group and the contribution he has been delivering to the company. We consider him as one of the best Regional Managers within our company based on his performance over the past year. We were very satisfied with the search process afforded by CONSORT team. They gave us a full picture of the key market players, provided a good choice of the candidates and helped to find a finalist with remarkable combination of professional and personal competences. Herbalife International RS expresses sincere gratitude to Consort Group for the qualified assistance in the search and selection of personnel for the complex and important projects for our company. For more than 10-years history of our cooperation, Consort consultants have successfully filled positions in various areas: Finance / Accounting, Logistics / Procurement, Marketing/PR, HR, Law, IT, Business Ethics, Call Center, Administrative positions. Consort Consultants always quickly respond to any requests and changes, demonstrating deep insight to the details of the vacant positions; staying available for communication at any time. They constantly provide us with highly professional candidates for all the vacancies they are working at. We especially appreciate the ability of Consort consultants to take into account the specifics of direct sales business, proper motivation of the candidates, understanding the profile of successful candidates as well as professionalism and customer driven approach of Consort consultants. We would also like to point out their personal involvement, responsiveness, attentive relation towards candidates, as well as readiness to undertake even the most complicated and long-term projects with enthusiasm and positive attitude. We are completely satisfied with the performance of our competent, reliable and loyal partners and look forward to doing further business with them in the future. We highly recommend Consort Group to any Employer. Consort Petersburg helped us to find General Manager and sales support person when we started our operations in Russia at spring 2005. Consort Petersburg showed itself as an experienced and efficient search firm capable of delivering adequate results for our personnel recruitment requirements to pre-agreed time schedule and standards. 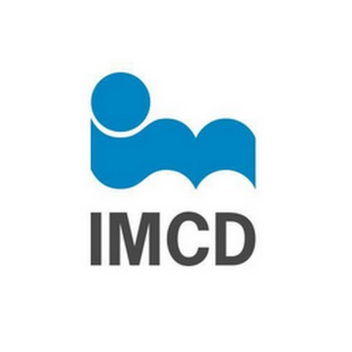 We would want to highlight a strong client-oriented character of Consort Petersburg services that was a distinguished characteristic during the whole period of, and their consistent professional eagerness and support for IMCD'S senior management and selected candidates.